Fareeha Khan (Fairfax) - Book Appointment Online! 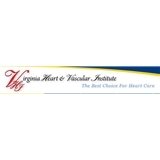 Welcome to VHVI The Virginia Heart & Vascular Institute specializes in the treatment and prevention of heart disease with emphasis on reducing cardiac risk factors and the promotion of a healthy lifestyle to our patients. We provide comprehensive, high quality, personalized healthcare using cutting-edge technology in a state-of-the-art facility.We strive to provide the best medical care available, while treating our patients with respect, compassion, and confidentiality. Please contact the office if you are not able to make your appointment. There is a cancellation fee. Also please keep in mind if you have a high deductible insurance plan, that will need to be paid in the office. Thank you.